Middle school students had a practical lesson of civic engagement by participating in the Muslim Day on the Hill in the State House today. Students were informed about the 3 bills being discussed, they practiced presenting the bills, and they met with 4 different state representatives to discuss the bills and ask them to vote yes on them. Some of the lessons we hope students will retain from this experience is the importance of working collectively with other groups, the voice each individual has, and the warm welcome they have been received with. We hope to have inspired some to think about social issues and be a positive force of change. 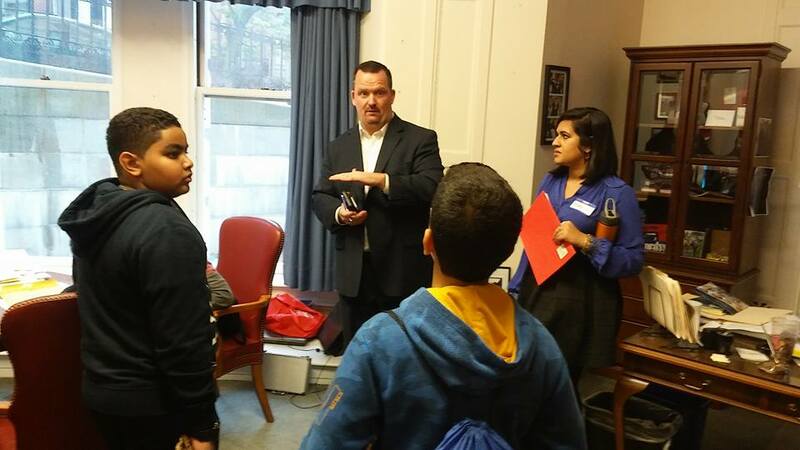 See below students speaking with Representative Michael J. Moran. For more pictures, visit our facebook page www.facebook.com/MalikAcademyAndAlBustan.